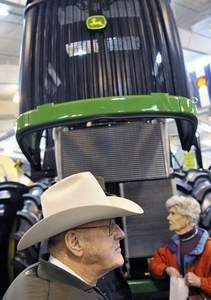 Photo by ERIC BELLAMY / ebellamy@greeleytribune.coGeorge Kindvall of New Raymer stands near a John Deere tractor Tuesday at the Colorado Farm Show at Island Grove Regional Park. The show runs until Thursday. Agriculture producers will continue to make a tremendous amount of money the next three years, but what they do with that money will go a long way in determining the future of the industry, said the keynote speaker at the beginning of the 2011 Colorado Farm Show on Tuesday. Stephen Koontz, an associate professor in the department of agricultural and resource economics at Colorado State University, said farmers and ranchers “shouldn’t go outside and buy new iron (farm equipment),” but should take that money to build equity in order to bring the next generation back to the farm and ranch. “We are going to see some real good success stories in the next few years,” he predicted. Koontz was one of the highlights of the opening day of this year’s farm show, which many observers said attracted the largest opening-day crowd, perhaps, in the 47-year history of the show. Parking spilled over into the Centennial Village area after lots at the arena and behind the main buildings of Island Grove Regional Park filled up quickly. Koontz said $5 per bushel of corn, $9 per bushel of wheat, $13 soybeans and $1.25 per pound for feeder cattle will probably stick around this year and could go even higher. And those prices may stick around for a few years, as the U.S. economy is not gaining strength as quickly as is the world economy, he said. The U.S. will not see $40 per barrel for oil again, as it will be in the $70-$90-per-barrel range, or higher, in the foreseeable future. That will keep fertilizer costs up for farmers, Koontz predicted. The nation will need to produce, what he called, “an enormous crop of corn” this coming year to make up for a drastic drop in carryover from last year; wheat is priced “too high now,” but he doesn’t expect it to fall much; hay will continue to hold strong prices in the $115-per-ton or higher range; high prices for cattle will remain for the foreseeable future; and milk continues to be the weakest link, although it is slowing recovering, driven by increased exports. 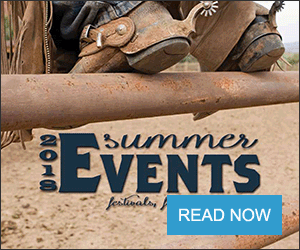 The weather is the big question, as drought conditions, particularly in the corn- and wheat-growing regions of the country, remain a concern, he said. Gasoline consumption in the country continues to decline, but Koontz said he did not see the new 15 percent ethanol blend having much of an effect on price, although he said the one-year extension of the ethanol tax credit will probably add about 20 cents per bushel of corn. 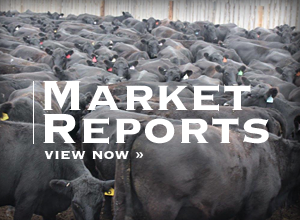 The price of corn will, however, affect the cattle feeding and dairy industries, with Koontz predicting those prices closing smaller beef-packing companies. “We are going to see exactly what consumers are going to be willing to pay for beef, and I don’t think it’s going to be pretty,” Koontz said.